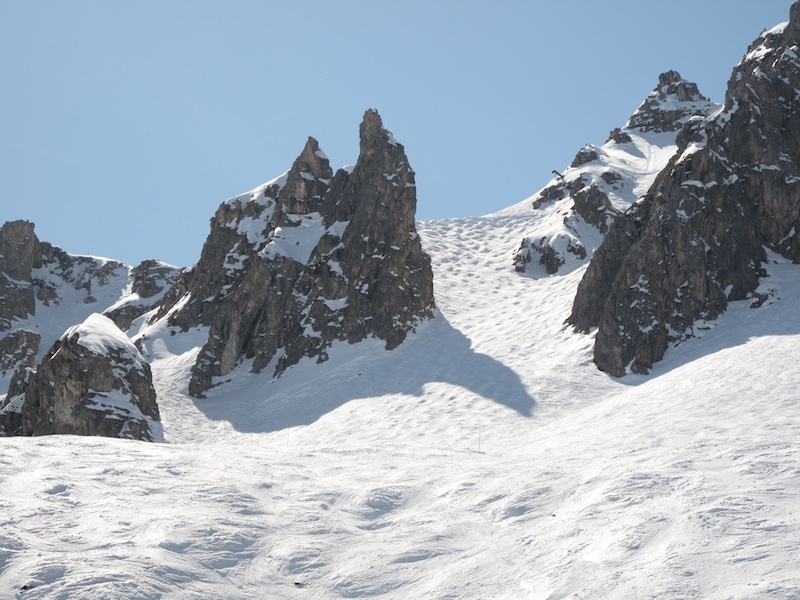 Late March in the French ski resort of Courchevel. We shared a gondola with a group of well-heeled English women. They were discussing their offspring, one of whom had a job interview that day. I thought how nice this was for little Timmy. The family friend would no doubt have access to the latest thinking of highly paid consultants on the very topic of his presentation. Imagine the advantage this inside information would give little Timmy in the interview process. Perhaps he would be competing against other candidates from less privileged backgrounds who had had to do their own research and come up with their own ideas. They wouldn’t stand a chance. My mind shot forward twenty years. I visualised Little Timmy as a fully fledged Tory, clad in blazer, Oxford shirt and slacks, asserting arrogantly that he had worked bloody hard to earn his money and didn’t see why he should be paying taxes to support lazy scroungers. Why couldn’t they learn to stand on their own two feet, as he had done? This is the concept of social capital in action, the mechanism that explains why the moneyed elite are so successful at ensuring that their offspring get the best jobs in the most lucrative professions, why social mobility is so difficult to achieve and why inequality in our society deepens with every generation. When I was young and naive enough to believe that I lived in a meritocratic, classless country, this may have angered me. Nowadays I regard it as an inevitable part of human society. After all, who wouldn’t use their network of friends and professional contacts to help advance their children’s careers if the opportunity arose? Social capital is nothing new. I recently read the abstract of a paper, the authors of which had analysed the bones and teeth of skeletons found in high status neolithic burial sites. They found high levels of strontium in the teeth of the high status skeletons, indicating that as children they had dined on food produced in loess, the best, most productive soil. The authors used this observation to support their thesis that inherited wealth dated back to the very dawn of agriculture, a prime example of using science to support the bleeding obvious. Privileged children grow up into privileged adults. That is why rags to riches stories belong in fairy stories, they are very much the exception. On a recent episode of Question Time or some other late night discussion programme the musician and social commentator Billy Bragg presented the argument that there was something amiss when so many of our leaders come from such similar backgrounds, public (for any foreign readers this means private) school then Oxford or Cambridge. A lady representing the Labour party challenged him. Surely he wasn’t proposing that our leaders should be poorly educated? In any case, she continued, an increasing proportion of the Oxbridge intake now comes from comprehensive schools. To his great credit Bragg quickly clarified his point. It doesn’t matter if anyone with the right grades can, in principle, get into Oxbridge. It remains a deeply unhealthy situation that, no matter which political party one votes for, one can be pretty sure that the resulting leaders will be drawn from the same small and deeply unrepresentative pond, and that once in power they will legislate for the benefit of their pond mates rather than in the best interests of the country. In what sense can democracy be said to be working if an overprivileged clique are consistently over-represented at the highest levels of government? This is why I am disillusioned with Westminster politics, with Old Etonian millionaires pedalling the myth of meritocracy while brazenly hammering the poorest in society and using the proceeds to award tax cuts to the super-rich. The fiasco of the referendum on the Alternative Vote shows that the Westminster system is unlikely to change for the better any time soon. I will vote ‘Yes’ to Scottish independence when I get the chance, not because of any sentimental Braveheart-based reasons, but because I am sure that an independent Scotland, whose voting system already nods in the direction of proportional representation, will elect a representative, progressive government that will be more effective at reducing inequality in our society than any Westminster government, regardless of colour, will ever be. At the very least it might try.